The Nilgiri hills are home to the city that keep nature at its heart. Ooty, formerly known as Ootacamund, is a serene hill station that shares its climate with England. The aroma of Eucalyptus and tea leaves, the wholesome flavors of chocolate and cheese, and the tempting Tamil Sapad only add to the awesome of Ooty. A cool breeze is ever present in Ooty, enhancing the hill station experience. Tea & Eucalyptus Plantations! 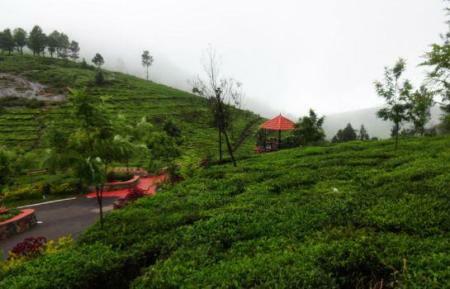 ;Also known as 'Queen of Hill stations';Enjoy Tamil Sapad & homemade chocolates;Take home some Eucalyptus oils or flavored teas. Once an imposing ancestral mansion,King's Cliff is a charming reminder of old civilization and tradition.With a splattering of Shakespearean diction and majestic settings, this hotel treats you like royalty. Take in the panoramic view; discover Ooty and yourself. 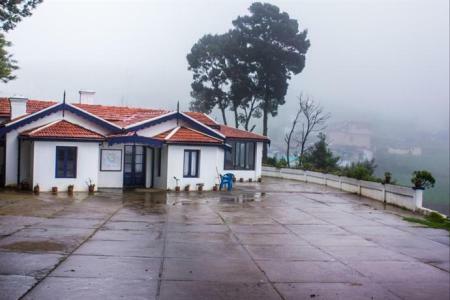 Sabol Holiday Resort, located 5.8 km away from Ooty railway station, features a multi-cuisine restaurant and arranges for adventure activities. Situated amid the serene surroundings of Marlimund, Sabol Holiday Resort is an ideal accommodation option for people seeking an escapade from the hustle-bustle of city life. 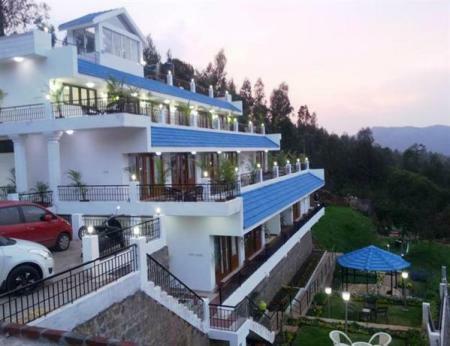 Around 10 minutes away from the railway station, this 3 star resort provides easy access to famous tourist attractions like Doddabetta Peak, Ooty Lake and Botanical Garden. It has 28 rooms along with cottages and villas that showcase colonial design and are fitted with basic amenities like direct dial telephone and cable television to offer maximum comfort. The resort is set amidst lush greenery and serene atmosphere, which makes it a perfect retreat for leisure travellers. 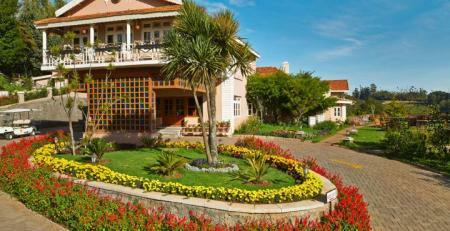 Facilities like cycling, thambola, bonfire, table tennis, chess, badminton court and carrom are available at this resort. 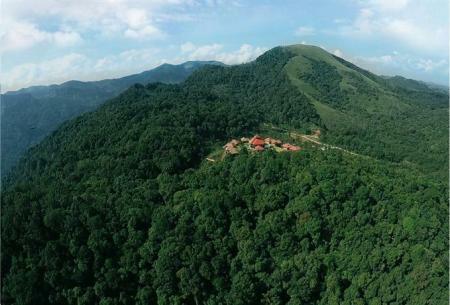 It also makes arrangements for adventure activities, such as trekking, birdwatching and hiking. 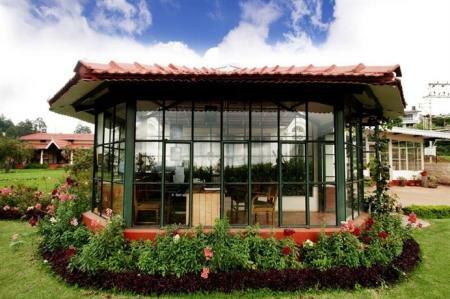 Additional faciliity like glass house restaurant is available for the guests. Music, karaoke, bonfire, short trek, open air movie and local sightseeing arrangements are available on chargeable basis. Tree Swift Glass House Restaurant, set in a lush garden at the resort, serves a range of delicacies from across the globe in a pleasing ambience. The Doddabetta Peak, located around 11 km away, is a must-visit. 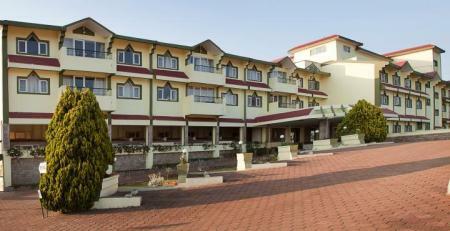 Spread across 40 acres of lush green surroundings is Ferrnhills Royaal Palace is one of the finest 4 star hotels in Ooty. 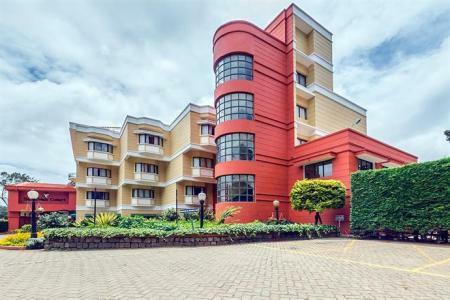 Apart from being in close proximity tourist destinations, it houses a wide range of rooms, the pillar-less wedding venue well-manicured lawns and indoor meeting spaces. Lounge around in the mansion that takes you on a journey of Mr. Holmes life through photographs, books & excerpts. Or you could bask in the mellow sun in the lush lawns, take a quiet, calm stroll downhill, explore a tea-estate, go horse-riding, fishing or even an open jeep jungle ride. 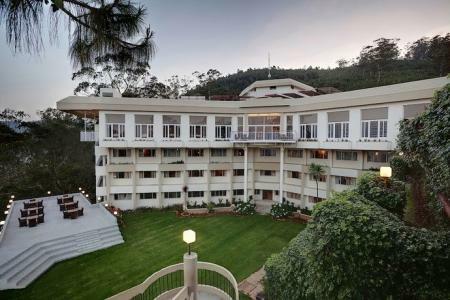 Overlooking the beautiful Nilgiri Mountains, the hotel stands tall with all elegance and style. A contemporary structure with a traditional feel, Blue Gem has kept itself well with the spirit of the beautiful and picturesque city. It is located in the heart of the town, minutes away from key tourist attractions and major shopping areas. With its convenient location and fine service, the hotel has aptly gained favor of all business and leisure travelers who throng the city throughout the year. The hotel welcomes you to a stunning beautifully done up lobby with impressive Indian art on the walls. It is the spotlessly attired staff, ever ready to do the most to make you comfortable that makes the stay an experience for a lifetime. Amid lofty Nilgiri peaks and low passing clouds, the sloping roofs and terracotta tiles of Pines 'N' Ferns Resort emerge and vanish. 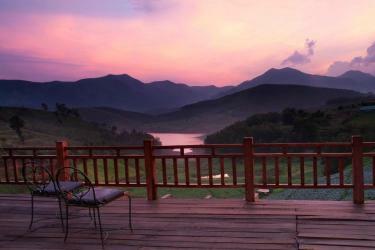 As you look out on Ooty valley from your room's balcony or sit-out, time seems to stand still. What is life if lived with care and you have no time to stand and stare as nature lays its beauty bare!!! 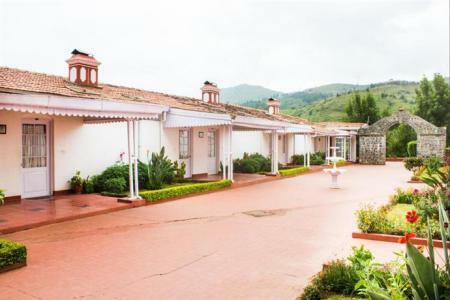 Situated among the relaxing surroundings of Ooty is Palve Suguvasam. The getaway is an ideal choice for couples, families and a group of friends as well. 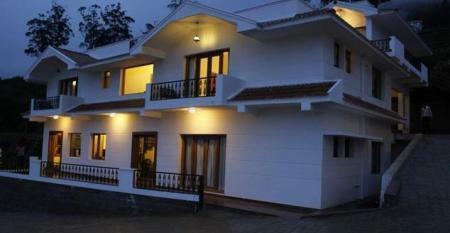 Stay at charming and luxurious cottages and have a very cherishing holiday. An hour's drive from the popular hill stations of Ooty and Coonoor, The Point is a luxury hotel set amidst the beautiful Nilgiris. 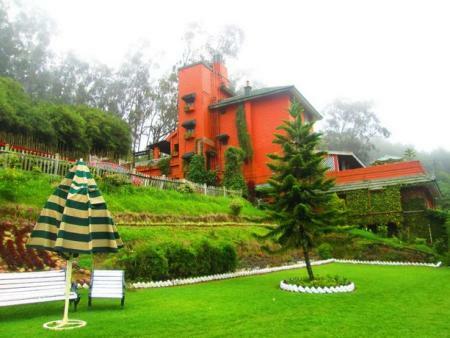 Enjoy the weather at Kotagiri and the picturesque views from the spacious and comfortable rooms here. Escape to The Surya Village Resort for the perfect tranquil and private vacation and enjoy the picturesque views and hospitality the place has to offer! Nestled among the vast tea estates of Kotagiri, Green Nest Resort is an ideal place to stay and is just about an hour's drive from Ooty and Coonoor. 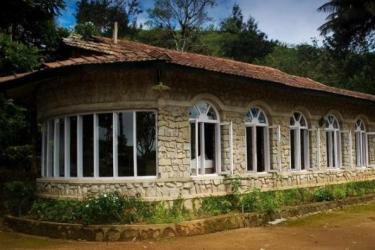 An hour's drive from Ooty, Nahar's Stone House Retreat in Kotagiri is an ideal getaway nestled among the tea estates and surrounded by the Nilgiris' peaks and valleys. It brings out a perfect blend of colonial charm and modernity and also offers a spa facility to rejuvenate yourself. 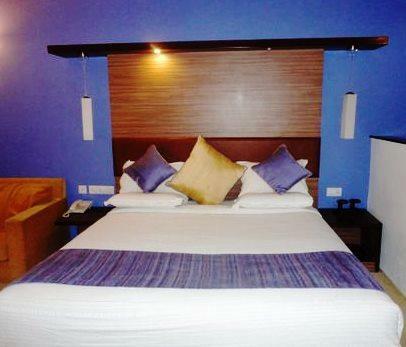 Hotel Lakeview is ideally located and has easy accessibility to every part of town. Its independent cottages are beautifully designed and have a private garden as well as amazing views of the lake. 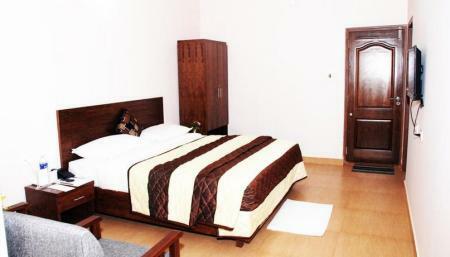 Located in the Belmonte region of Ooty, Delightz Inn offers a comfortable and memorable stay while in Ooty. Go horseback riding with the towering peak of Thottapetta Hills in the background. 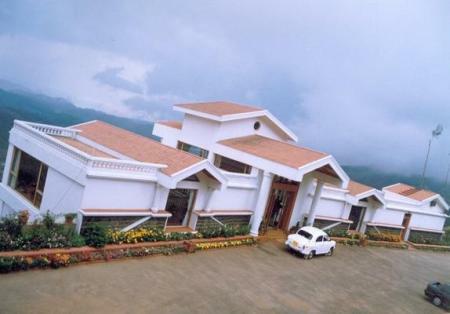 The cottages at Sagar Holiday Resort offer spectacular views due to its excellent location overlooking the Ketti Valley. Basic amenities are provided that meet the requirements of any traveler. Nestled on the slope of a gentle hill in the Nilgiri range, overlooking the breathtaking Ketti Valley, Hill Country Holiday Resort, Lovedale provides the perfect escape from the demanding city life. Whether you're looking for an ideal romantic getaway, a honeymoon destination or perhaps just some time away with the family, you'll find everything you need right here at Hill Country. Enjoy spectacular views of the Nilgiris' valleys and mountains from the rooms at Berry Hills Resort while you're away from the hustle and bustle of town, yet conveniently located at a short distance from major attractions. Deccan Park Hotel has something to offer for everyone. Whether you want to enjoy the indoor games and sightseeing tours or gorge on some delicious food, Deccan Park has it all! 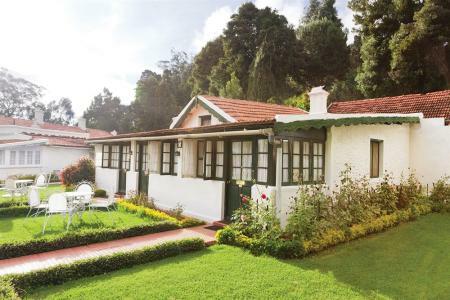 Near the Kalhatti waterfalls and just a few minutes away from the heart of town, the vintage, Victorian style rooms at Kluney's Mystique Ville will make your stay at Ooty one of a kind. 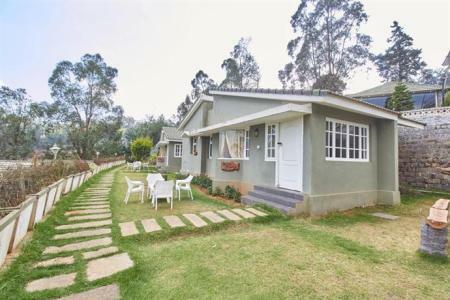 Refresh your mind with the surrounding lush greenery and contemporary-styled earthy rooms at Danish Villa Sheddon in Ooty. Though located in the heart of town, it is away from the hustle and bustle, nestled in the lap of nature. 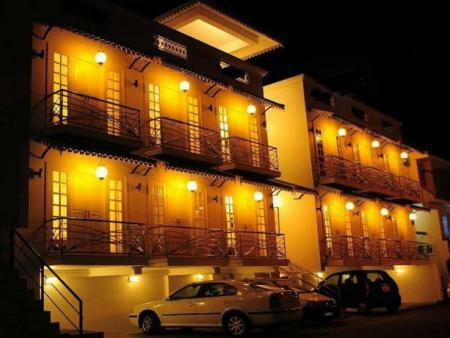 Located in the heart of town, this contemporary style hotel is minutes away from major tourist attractions and shopping areas. Enjoy the picturesque views of the Nilgiris while you dine at the roof garden. Modern Villa is perfect if you want to relax and feel at home. 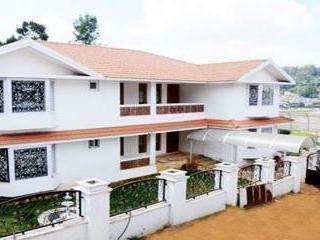 This clean and budget homestay has all the necessary amenities to offer. 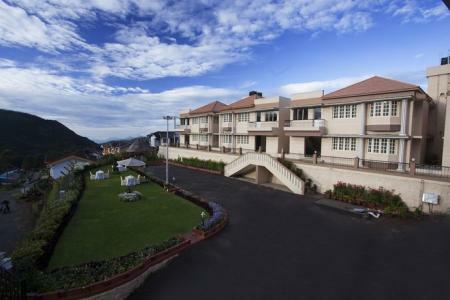 Experience hospitality at its best while you enjoy the pleasant climate at Ooty. 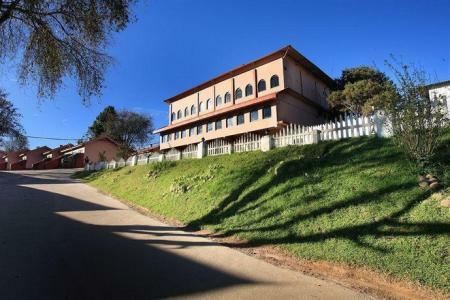 Willow Hill brings to you a mix of colonial architecture and modernity.This romantic destination with its old world charm is located close to the Ooty railway station and St. Stephen's Church. Willow Hill Hotel also organizes several adventure activities and tours for those interested. A perfect getaway for honeymoons and anniversaries, West Nature Cottages has cosy, earthy rooms to offer with all the requirements of any traveler. This homely property has Elk Hill and Holy Trinity Church as nearby tourist spots. 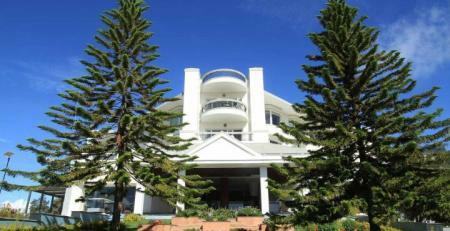 Perfectly located and overlooking the town, Mount View Heritage Hotel offers stunning views and good service, all at a reasonable price! Set amidst the Blue mountains, in the 'Queen of Hill Stations' - Ooty, the magnificent Glyngarth Villa is surrounded by boundless tranquility and splendor... Glyngarth Villa has retained its old charm - from the impressive period furniture to the polished wooden floors. It still attracts those who wish to experience life as in a bygone era. Situated in an exotic location and faraway lands in the Blue Mountains with a wonderful view of the valley ,I- India sets an entirely new standard for the world of enjoyment combining natural beauty with modern facilities. A perfect place for nature lovers . 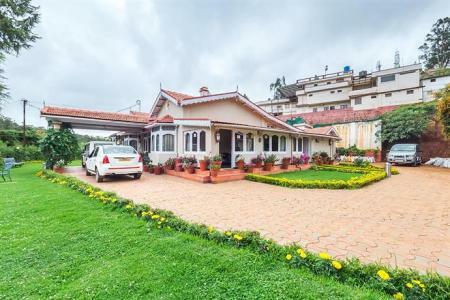 Whether you want to splurge and indulge or are looking for something that is on the cheaper side, Ooty has tons of luxury resorts and budget getaways for you to choose from. Based on the attractions that you want to visit, and also taking your budget range into consideration, we have listed a few resorts that might come in handy. 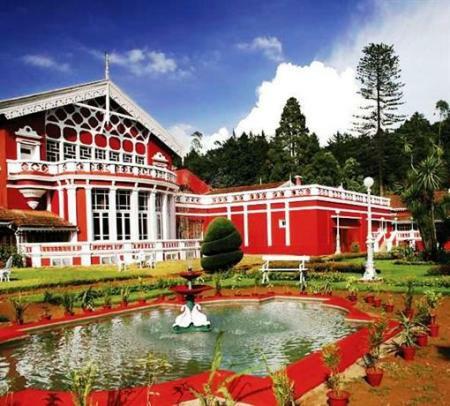 If you wish to visit places like Ooty Botanical Gardens, Ooty Lake, Wax World museum, Government Rose Garden, Ooty Tea Factory, Tea Museum and Tribal Museum then staying close to the town centre would make the most sense. You'll also be close to the bus stand and railway station and will have everything you need in close proximity. Here is a small list of luxury, mid-range and budget getaways that are rated quite well and offer comfortable accommodation. Know what it's like to be spoilt in the true sense. 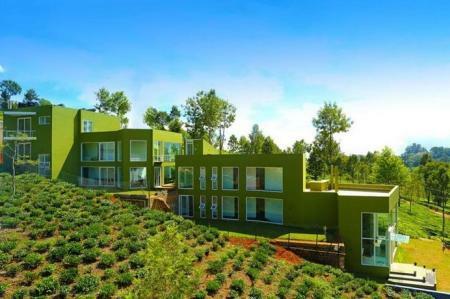 These luxury resorts amidst Ooty's green valleys are sure to be worth every penny and will leave you feeling like a king. Head to The Taj Savoy Hotel for its 19th century cottages, cozy fireplaces, Ayurvedic spa and a whole lot of other luxurious amenities. 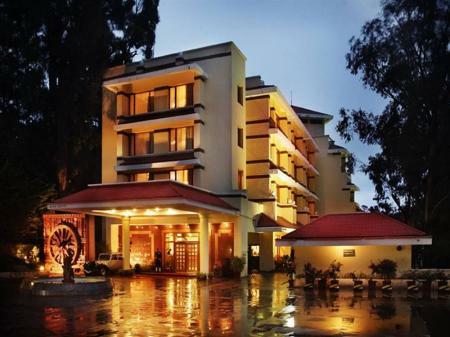 Just 6 minutes away from the Ooty Main Bus Stand is the WelcomeHeritage - Fernhills Royal Palace, where deluxe suites and multi-cuisine specialities will make your day. 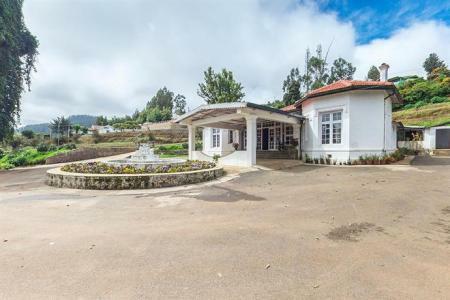 The Point Kotagiri, a boutique homestead situated amidst the lush greenery of the Nilgiri Hills, provides a complimentary breakfast and a library to spend some personal time while you enjoy world-class amenities. At Fern Hill - A Sterling Holidays Resort, you can enjoy a number of activities like cricket, table tennis, badminton, carrom, chess, snooker, cycling, etc. and go back with memories of a fun-packed holiday. 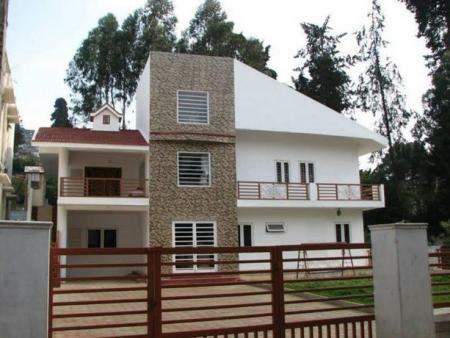 There are so many more options when it comes to luxury accommodation in Ooty. 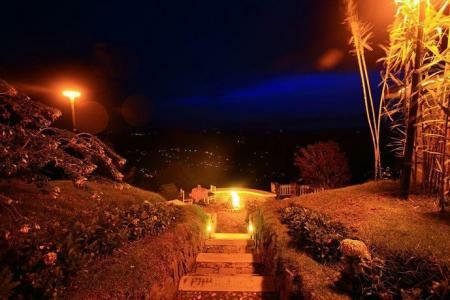 Let the Queen of Hill Stations welcome you in style and treat you to an unforgettable experience! 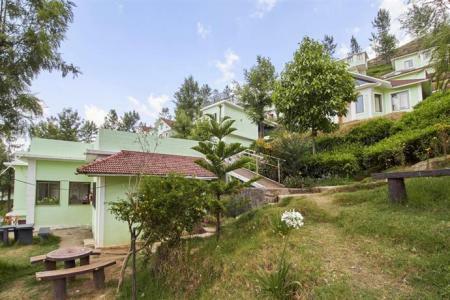 Given the influx of tourists from all over India as well as other countries, Ooty has no dearth of budget and mid-range hotels/resorts that allow you to experience Ooty in the best possible way. Few such options are Berry Hills Resort, Kluney's Mystique Ville and I-India Ooty. At the Berry Hills Resort, well crafted rooms along with a complimentary buffet breakfast combine to make your stay memorable. Around 10 minutes away from Government Rose Garden is the Kluney's Mystique Ville Resort where you can enjoy your stay in victorian-styled rooms and have some fun in the swimming pool. 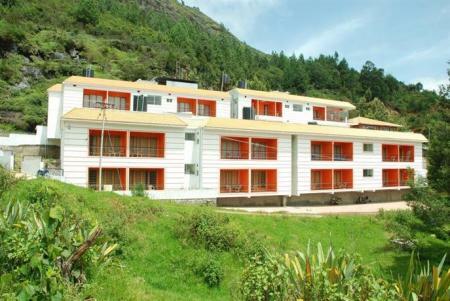 I-India Ooty is another budget option that has comfortable rooms with modern amenities. It offers continental cuisine for breakfast and Indian and international cuisine for lunch and dinner. There are many more options for you to choose from that won't burn a hole in your pocket. 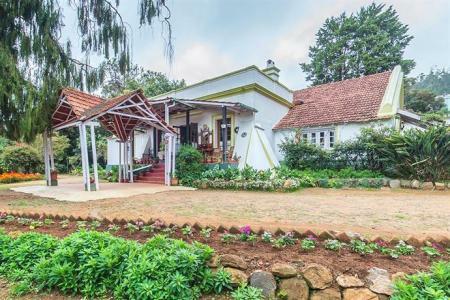 All in all, while in Ooty, you don't need to worry about how much you'll spend on accommodation; there's something for everyone! How do I get to Ooty? By road - The Bangalore to Ooty road trip takes about 6-7 hours to cover a distance of approximately 275 kms. While on this journey to Ooty, you can stop by at Mysore and the Bandipur National Park on the way. Take the route via Masinagudi and Kalhatty Ghats after that; it involves a few hairpin bends but is about 40 kms shorter than the Salem-Mettupalayam route. However, keep in mind that the national park usually shuts by 6pm so you'll need to time your journey accordingly. By bus - Getting to Ooty from Bangalore is a mere six hour journey as it is just 275 km away from Bangalore. The short distance, makes travelling to Ooty more convenient from Bangalore. Direct buses are easily available from Bangalore, both private and government operated. Travelling by bus from Chennai to Ooty covers a distance of 556 km and the journey takes only about nine and a half hours. Again, direct buses ply to and fro and are easily available. By train - Trains are available from both Chennai and Bangalore to the "Queen of Hill Stations". Arrive at Mettupalayam and from here you can take a cab, a bus or a toy train to reach Ooty. The route to Ooty is one of the most scenic routes you'll come across so be sure not to doze off! By air - Catch a flight from Bangalore or Chennai and land at Coimbatore International airport, which is the closest airport to Ooty. From here, Ooty is about 90 km away. Take a bus or hire a taxi and reach your destination in 3 hours. How do I get around in Ooty? 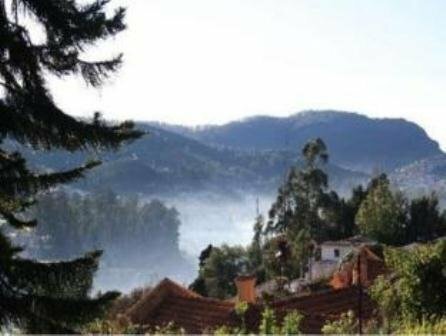 Moving in and around Ooty shouldn't be a problem as the most usual means of transport like buses, taxis, autorickshaws, tourist cabs will help you to get across this town to enjoy the many attractions and scenic sights that the place has to offer. Bicycles can also be rented to explore this place in an exciting way. If you love nature, then any part of the year would be fine to visit and fall in love with this place. 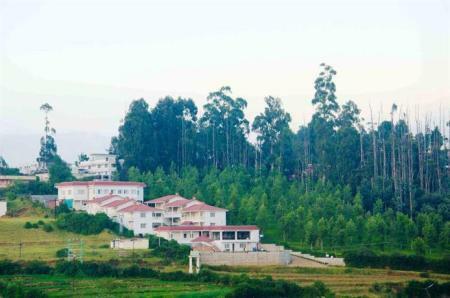 The peak season in Ooty is in May and June. The place has pleasant summers and cool winters. Flower shows can be seen during the month of February and March. To experience the greenery and rainfall, it is best to visit during the monsoons. The summers allow you to enjoy the lush green mountains with its enticing views. 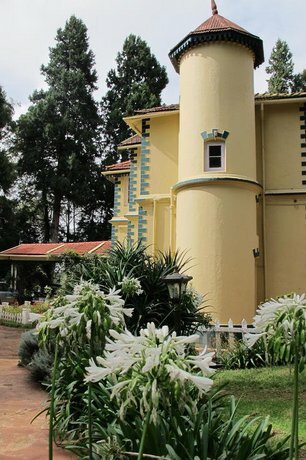 What are the main attractions in Ooty? If you want to spend some quality time in the midst of nature, then head out to Ooty Botanical Gardens where you can get to see around 650 species of plants and trees. Love roses? Then go check out these red beauties at the Government Rose Garden, a place that is famed for having the largest collection of roses in India. At Ooty Tea Factory you can observe how tea leaves are processed and also buy some tea, to take back home. Have the time of your life while you go for a ride on the famous toy train considered as a World Heritage Site by UNESCO. Heighten your curiosity while you take a tour around "Wax World", a wax museum, home to various life-size wax statues of famous Indian personalities, and gaze upon various indigenous art and craft items, used by the native Toda tribes displayed at the Tribal Museum. The Ooty and the Pykara Lake make perfect havens for boating and soaking in their tranquil, breath-taking views while the magnificent Pykara Waterfalls always captivates your senses with its alluring beauty. Ooty has a number of places where you can enjoy activities like trekking, angling, hang gliding, mountain biking and horse riding. A treat to the eyes are the interesting Toda huts, built using the ethnic architecture of the Todas. 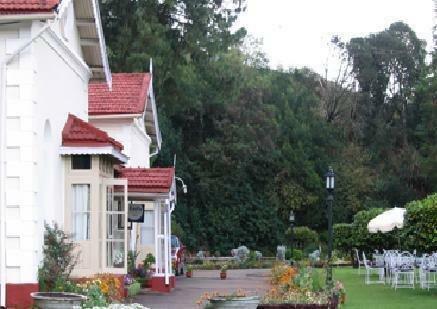 Ooty has a number of great places to see, enjoy and cherish. So have a blast while you're here and go back with sweet memories! One can try out the famous Chettinad cuisine, available in various restaurants in and around Ooty. Idli, Dosa, Vada, Sambar, Rasam, Upma, Sweet Pongal, Payasam and Kesari are must-trys. Many local bakeries sell sweet buns and cakes. Savour these and know what it's like to enjoy the little things in life. You can also get a lovely variety of home-made chocolates-one of the things Ooty is best known for. Ooty is also home to several tea tasting opportunities given the large number of tea plantations in the region. The local wines are not bad either. 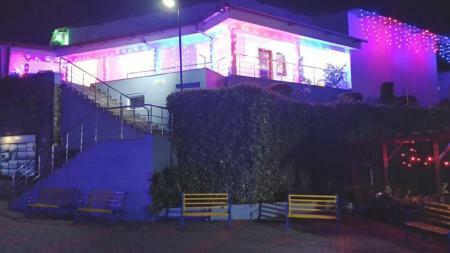 There are also many regular restaurants in Ooty that serve great food. Enjoy a delicious meal at Ascot Multi Cuisine Restaurant or head out to Nahar Restaurant for an authentic South Indian cuisine that is purely vegetarian. What to take back from Ooty? 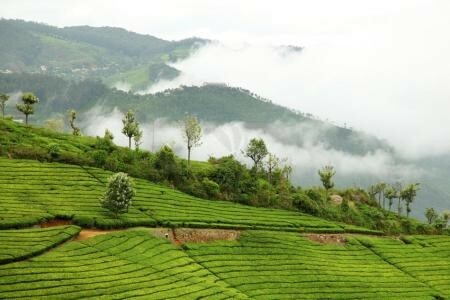 Famous for its tea plantations, Ooty offers a wide range from black, green, and black and white varieties of tea. Different flavours like masala, jasmine, cardamom and chocolate are available as well. You can also take back aromatic oils like camphor, eucalyptus and citronella. Handmade chocolates, organic cheese and spices like cloves, nutmeg, pepper and cardamom, are some of the things that you shouldn't miss out on. You can also stop by the Green Shop and buy some wonderful tribal crafts and clothes (including Toda embroidery) to take back with you.